I recently stopped in at Shoppers Drug Mart for a prescription, and while I was waiting, I scurried on over to the clearance rack they usually have set up. It's always hit or miss. Usually it's boxed food items, or toothpaste, or just stuff I don't want or need. But this time. Oh, this time it was marvelous! There were a ton of product on that cart, and I really had to restrain myself! 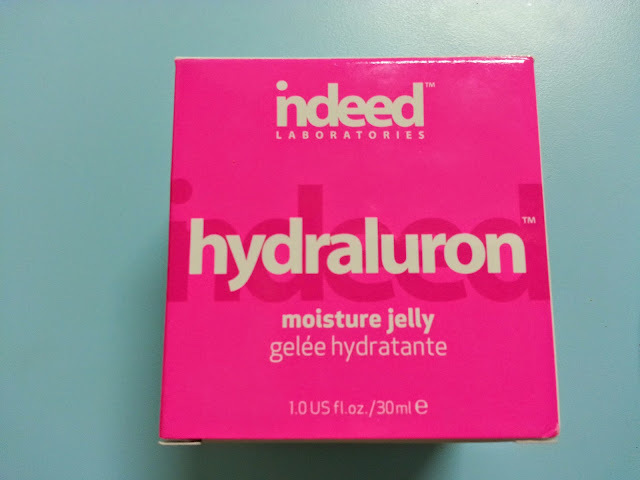 I managed to pick up this Indeed Laboratories - Hydraluron Moisture Jelly for ONLY $10... 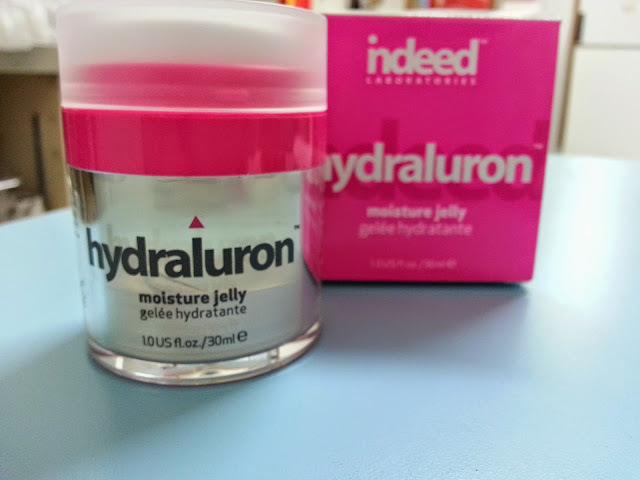 I don't even know how much this retails for on its own, BUT I know the serum is usually over $20 regular price, so this jelly must be really close in price, if not more. Anyway, I grabbed it immediately. I've been using the serum on and off, and I was seriously considering going back to purchase this to see if it would make a difference on my dry skin. And I was going to pay full price to it too. What perfect timing! As you can see, inside is clear. I was so excited to try it that as soon as I got home I washed my face, applied the serum, did a face mask (review to come next) and then applied this once all of the other essences soaked into my skin. My face was honestly, SO soft. I don't really have an issue with it not being soft, but all of the combined ingredients made my skin glow and so soft to touch. One weird thing though is that the cap doesn't screw on or off. 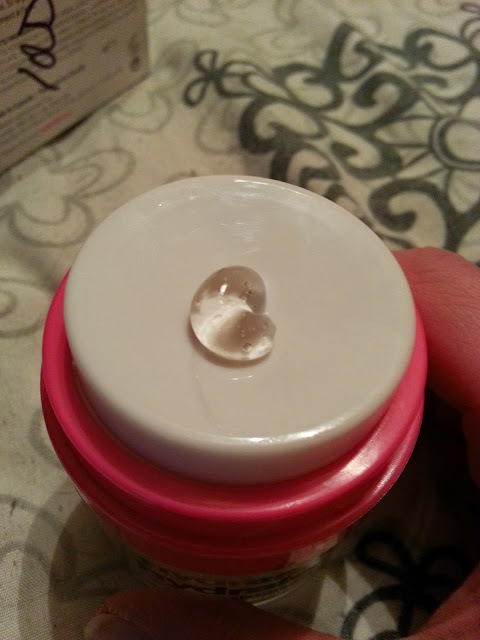 You take the lid off, and then you press down on the white part of the container, and it dispenses the product through the hole on the top. I thought it was pretty cool because it prevents bacteria from getting in, and it also lets out a good amount, that way you aren't wasting any, or much. You can somewhat see the box in the background of this last image. Seriously, $10! The jelly itself also kind of "bounces" in the package when you tap it around... I've never tried anything like this before! 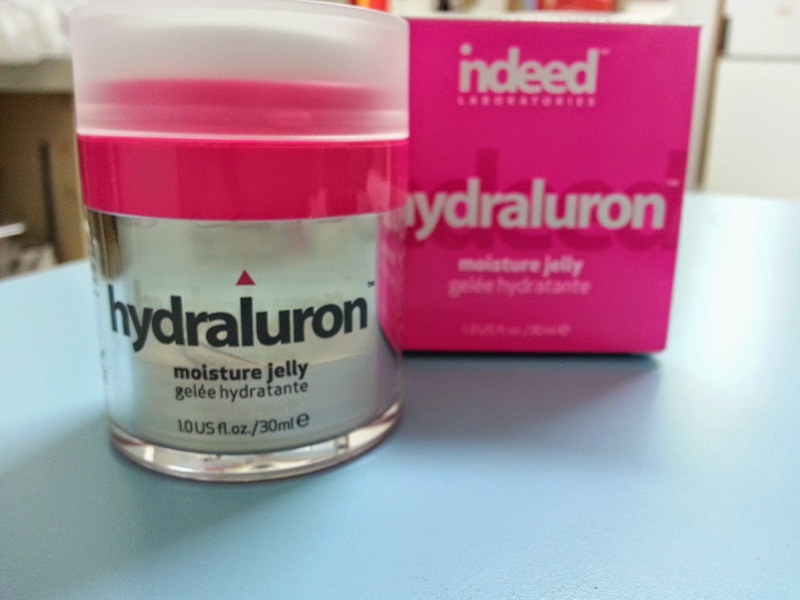 I have to say I was really impressed when I used this in with the serum, and the mask (again... review will come up next!) all together. My skin was soft, smooth, and glowing. I would seriously consider purchasing this again but will have to keep an eye out to see if it goes on discount again! I didn't see an expiry date on it either, so I'm not sure why they marked it down.